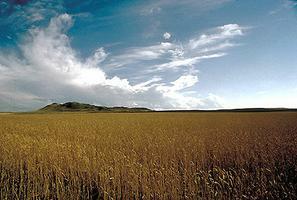 Finkelstein, Maxwell W.. "Grasslands National Park". The Canadian Encyclopedia, 25 January 2018, Historica Canada. 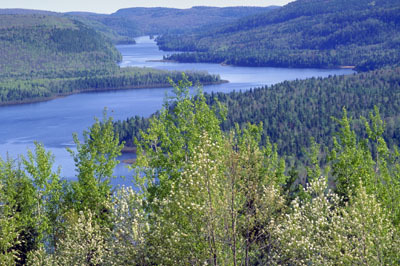 https://www.thecanadianencyclopedia.ca/en/article/grasslands-national-park. Accessed 25 April 2019. A 1981 agreement between the governments of Canada and Saskatchewan provided for the future establishment of Grasslands National Park, which will eventually encompass 906.4 km2. 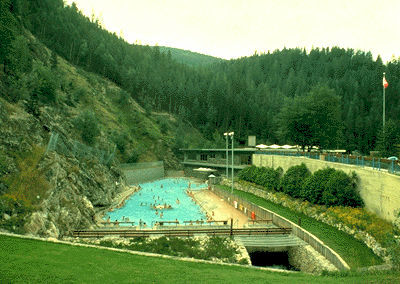 More than 60% of the lands required for the park have already been acquired on a "willing-seller willing-buyer" basis. 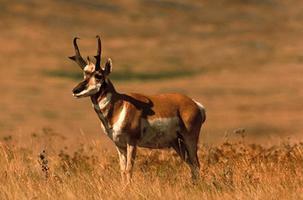 Pronghorns are unusual because males shed the horn sheath annually (Corel Professional Photos). 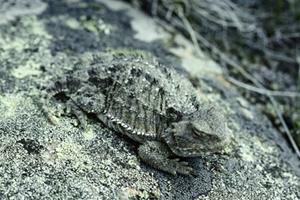 The greater short-horned lizard is found in southeast Alberta and southwest Saskatchewan (courtesy Parks Canada). Situated in the southwestern Saskatchewan Prairies on the Canada/US border, at first glance the park area appears empty: a gently undulating expanse of sun-scorched plains. But hidden from view are badlands, meandering rivers and fertile sloughs. 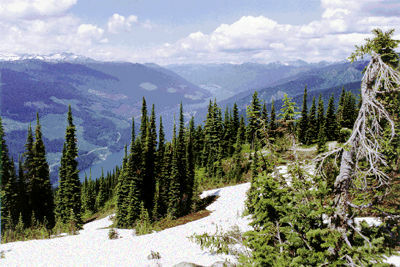 The hot, dry summers and cold winters produce an environment that supports a unique flora and fauna, including several species of rare herbs, 2 rare grasses and Canada's only black-tailed prairie dogs. The park also supports pronghorn, coyote, red fox, mule deer and numerous small mammals. Species of reptiles and amphibians, rare elsewhere in Canada, can be found along the Frenchman River valley, including the prairie rattlesnake and horned toad. Until the 1850s the park area was inhabited only by nomadic native people who hunted throughout the territory. Tipi rings, evidence of their occupation, can be seen in the uplands, near the edges of coulees. Rapid settlement then led to the growth of ranching.